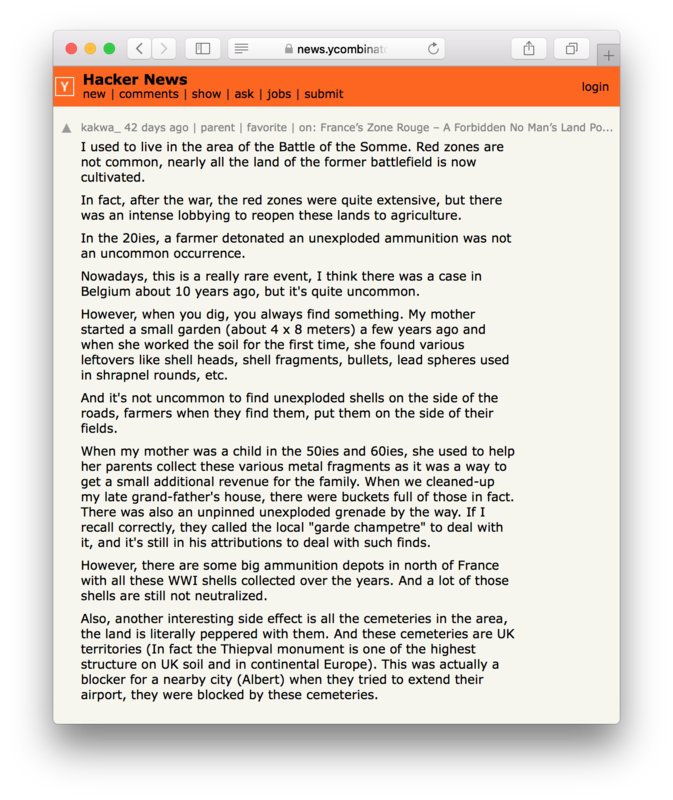 Here are some of our favorite Hacker News comments from April and May. 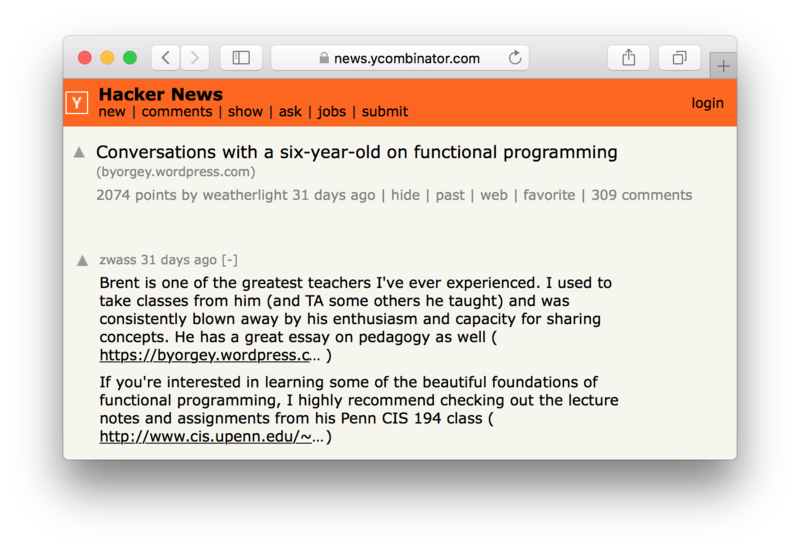 If you see something cool like this, email us at hn@ycombinator.com so we can add it to the next list. HN users across countries discuss differences between their yogurts. 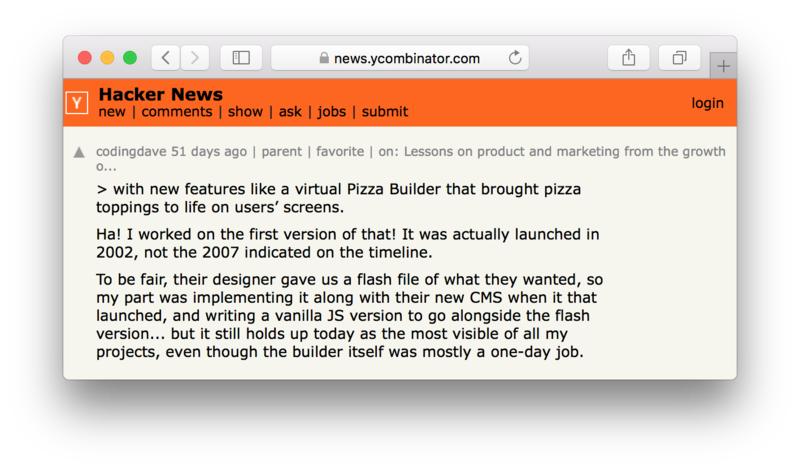 codingdave comments on an article about Domino’s and the virtual pizza builder he built in 2002.
uptown writes about exchanging emails with John Carmack in the way Carmack writes about emailing Steve Jobs. 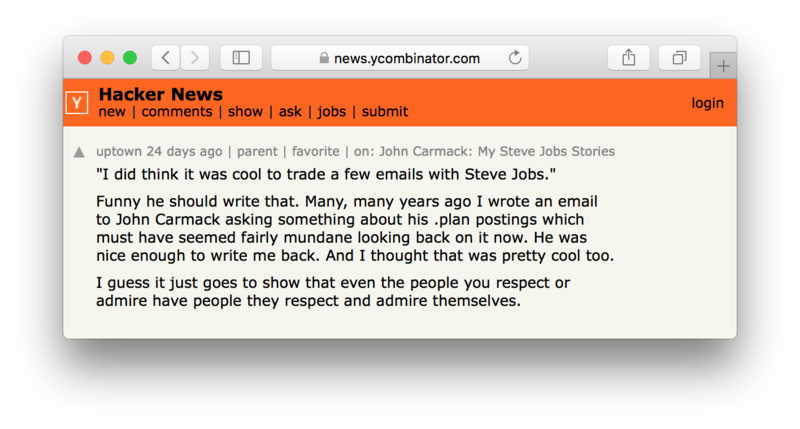 Then Carmack joins the thread. 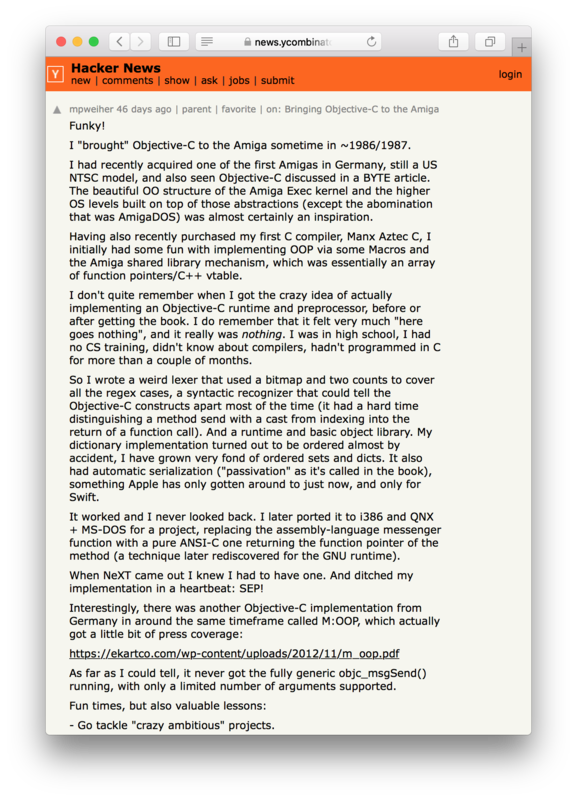 mpweiher on bringing Objective-C to the Amiga in ~1986/1987. 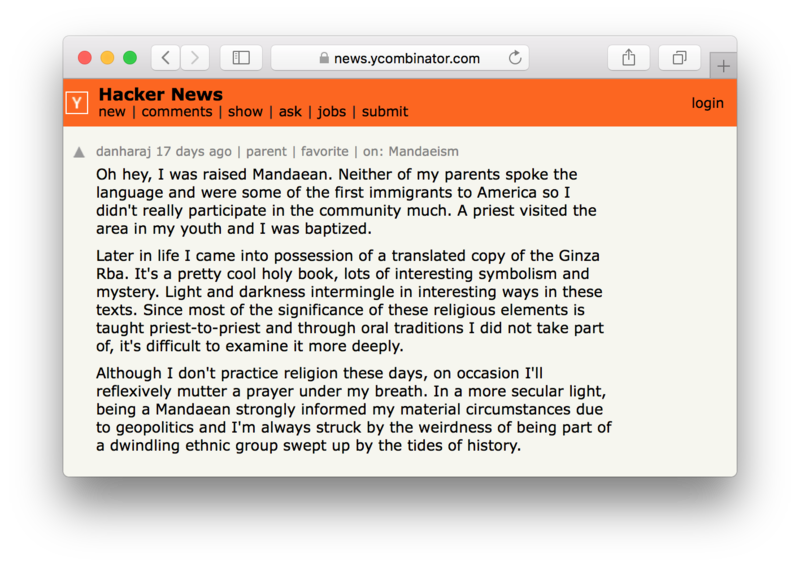 Responding to post about Mandaeism, an ancient Gnostic religion, a HN user turns out to have been raised in it. ajenner shares their progress on building a cycle-exact 8088 emulator. kakwa_ on what it’s like to live on a former battlefield. Beanus on how Fermilab still uses aspirin to detect leaks in their rings. 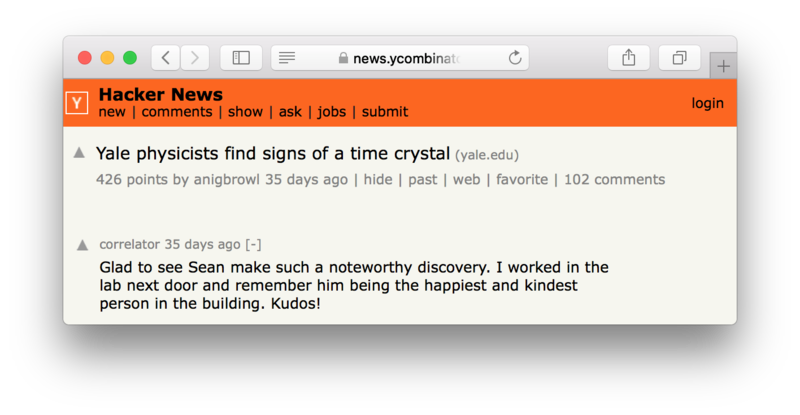 “Yale physicists find signs of a time crystal” and the author shows up in the comments to explain. A past student of Brent Yorgey comments on his post “Conversations with a six-year-old on functional programming“. 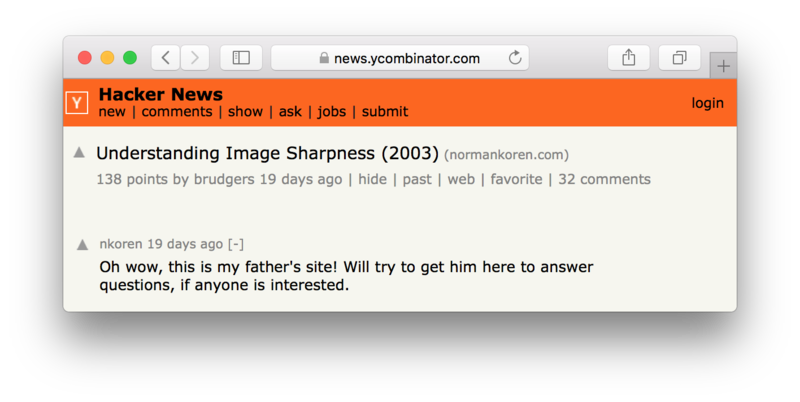 The child of the author of “Understanding Image Sharpness” comments on the article’s thread. Another family thread–the great grandchild of astronomer Donald Menzel comments on an article about his work.